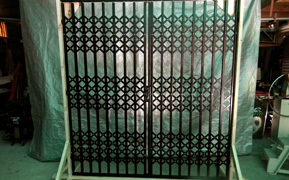 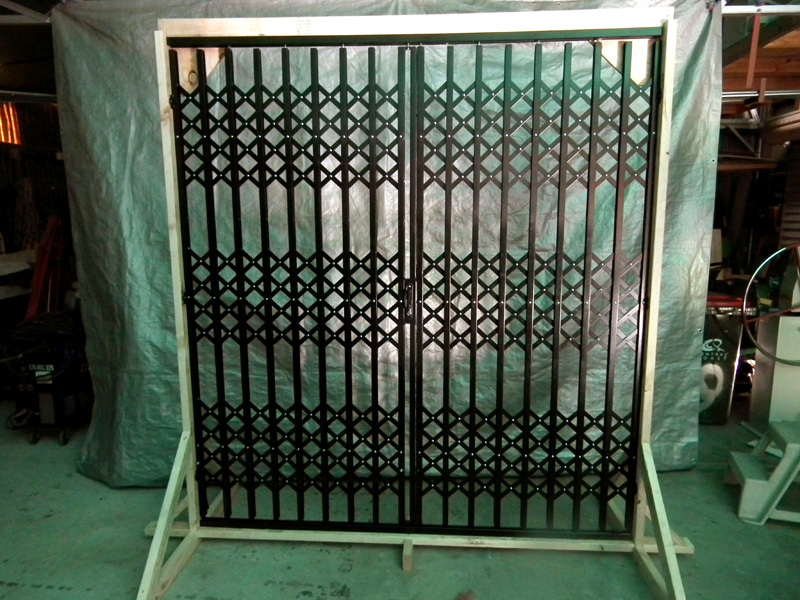 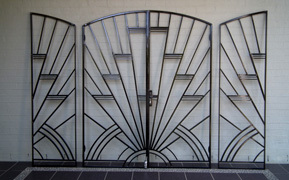 We specialise in decorative Art Deco style security bars and grilles for doors, windows and gates. 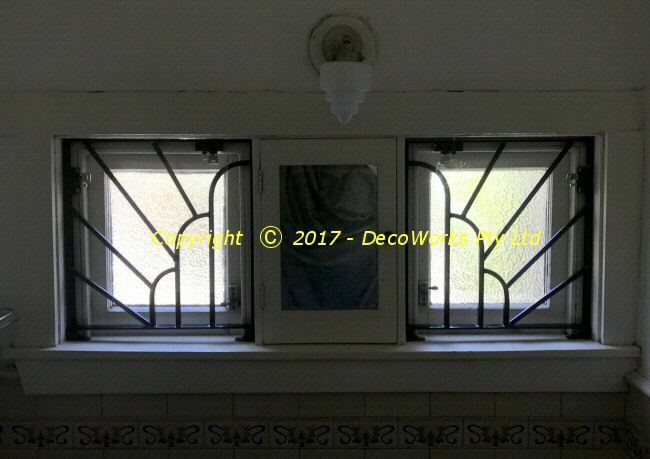 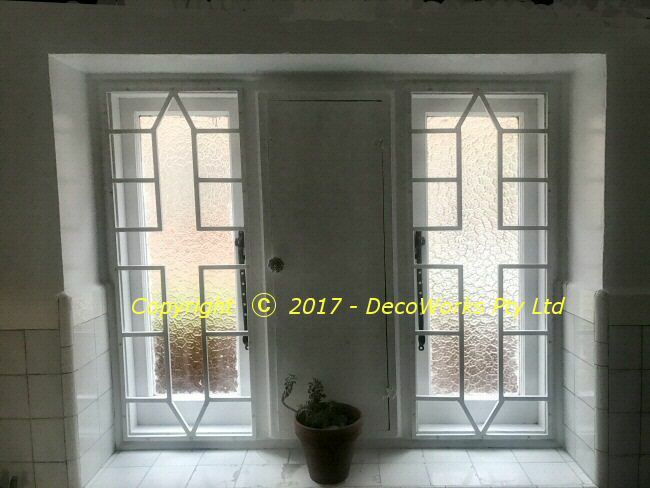 Our decorative Art Deco security bars and grille designs are flexible and can be adapted to fit most situations and add an individual touch of style and elegance to your home or building. 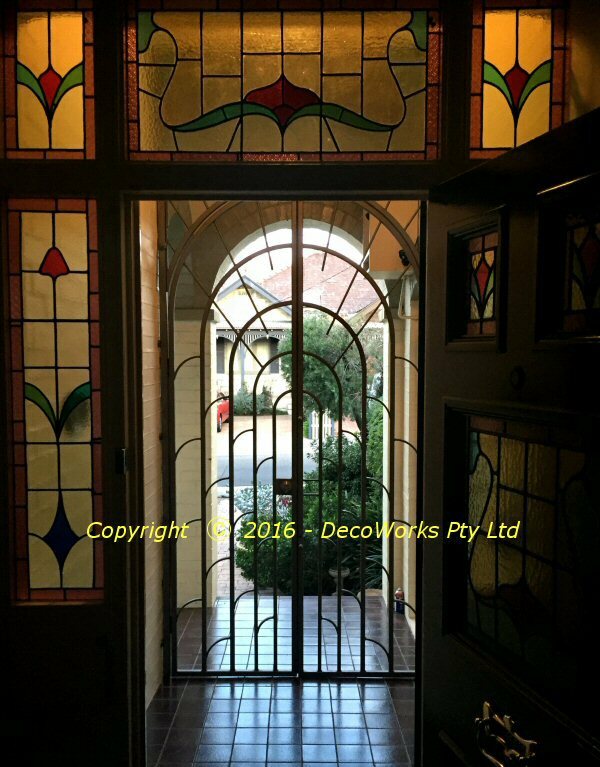 Our custom designs are unique in the world and take their names from Art Deco theatres of the 20's and 30's as an acknowledgement to our passion for theatre. 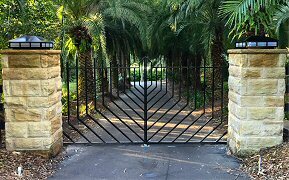 The designs avoid the traditional approach of using vertical or horizontal bars that can leave you feeling like you are trapped in a cage. 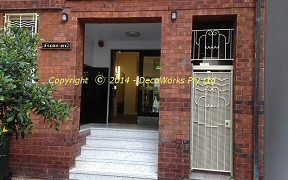 We are fully licensed (Master lic. 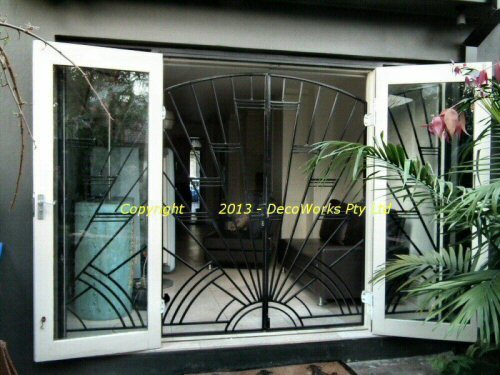 000101187) so you can feel secure in talking with us about the best security bar design for your home. 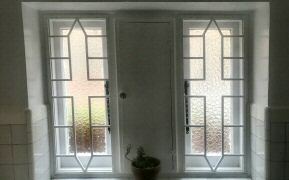 These courtyard double doors are an excellent example of our REGENT style Art Deco security doors. 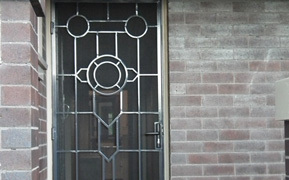 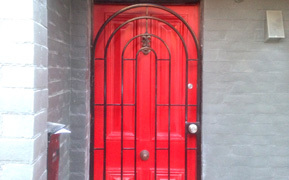 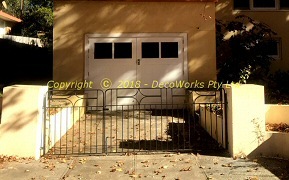 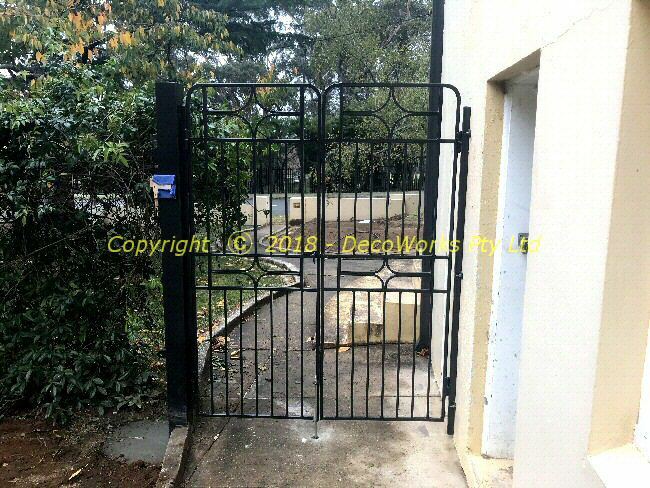 Several examples of PLAZA style Art Deco security door, window and gate installations. 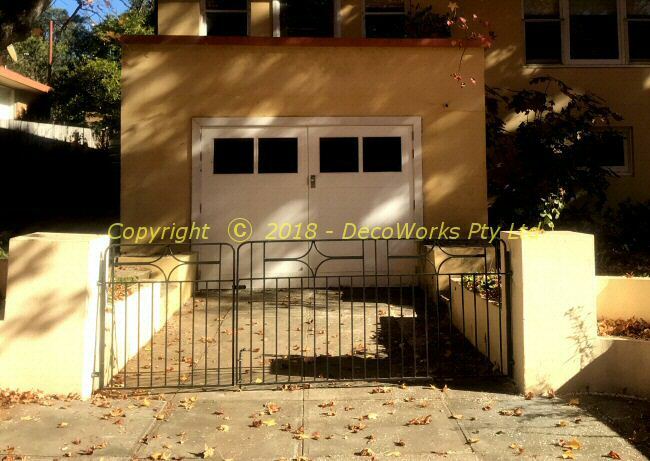 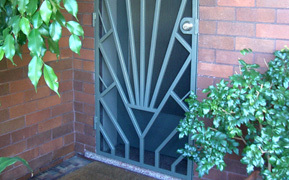 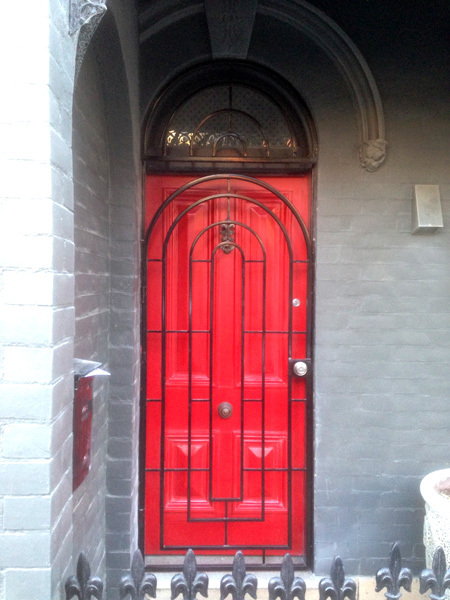 These large ODEON style Art Deco security doors make an impressive entrance to this Sydney semi. 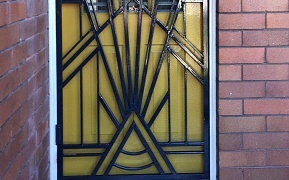 Some examples of the PRINCESS Art Deco style used for door and window security. 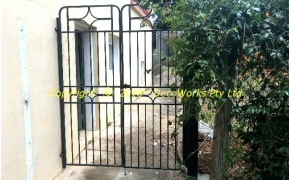 Restoration and re-fitting of original front driveway and pedestrian gates. 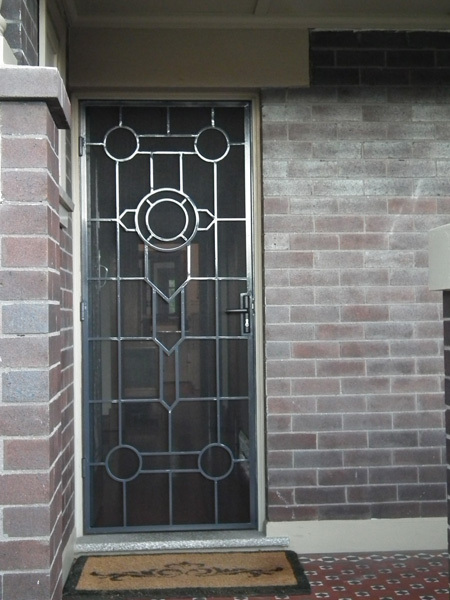 This STRAND security door design compliments the large leadlight panel which dominates the front door of this home. 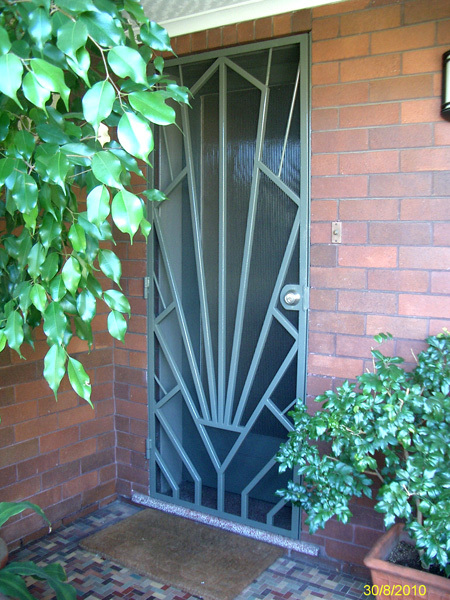 A REGAL Art Deco security door inspired by a leadlight window in the clients home. 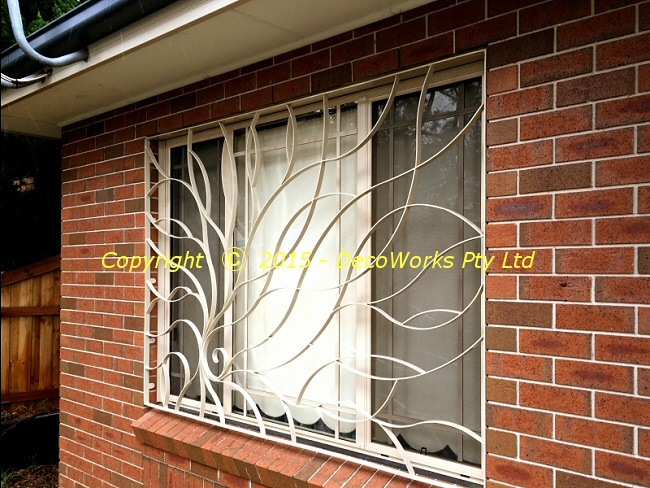 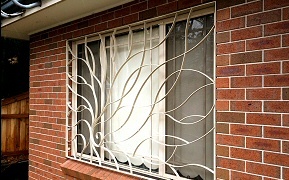 This unique artistic window security grille was made for a family who didn't want to feel like they were living in a cage. 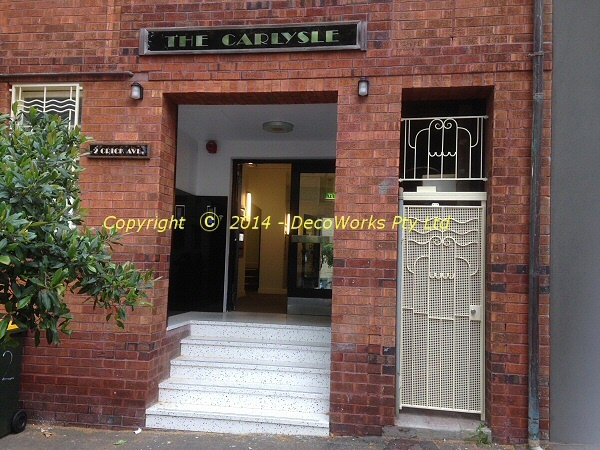 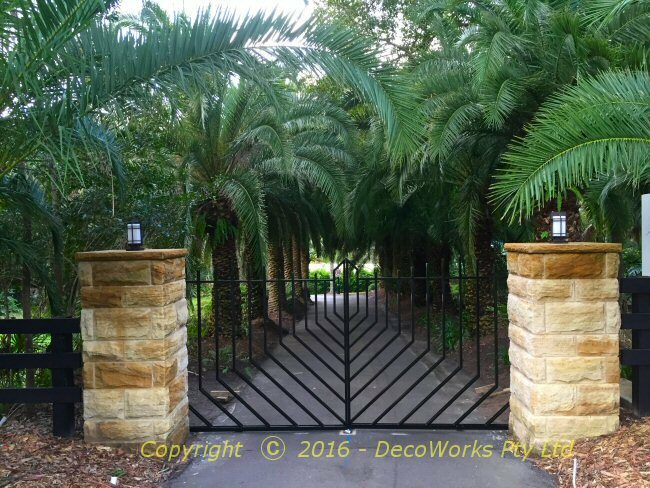 Custom stainless steel Art Deco front entrance gates with a stylised palm leaf motif. 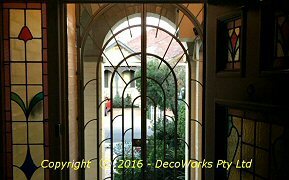 This Potts Point inter-war apartment block replaced the existing contemporary security bars with an Art Deco style more sympathetic with the heritage of the building. 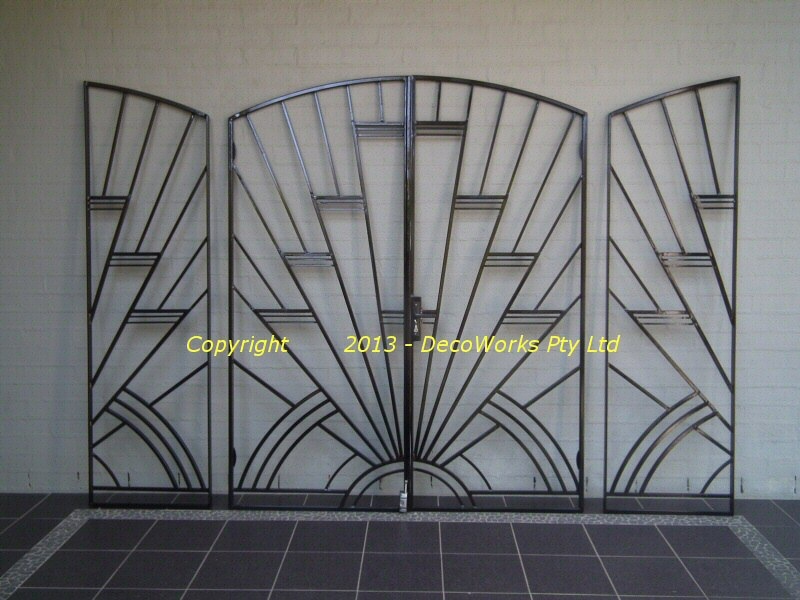 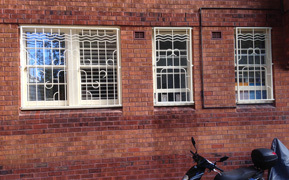 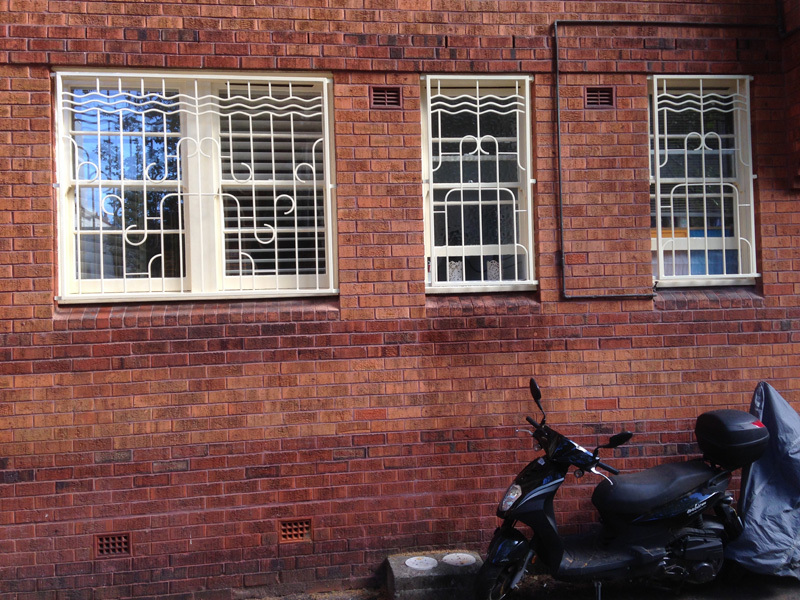 Two sets of collapsible security doors for the Roxy Theatre in Bingara Art Deco restoration program. 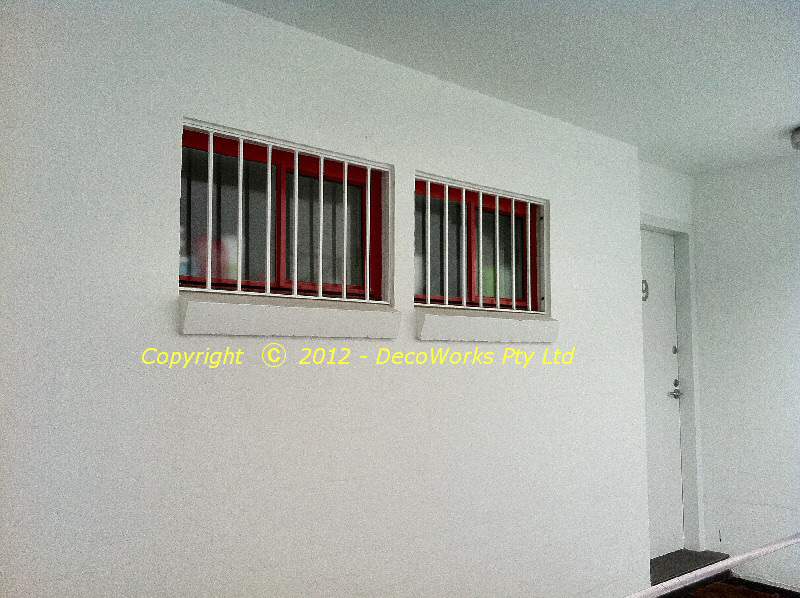 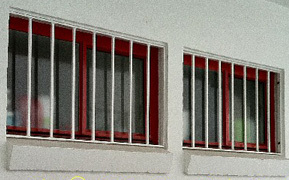 Security bars for a bathroom window which had to match the existing security bars on the adjacent unit's bathroom window in a Strata complex. 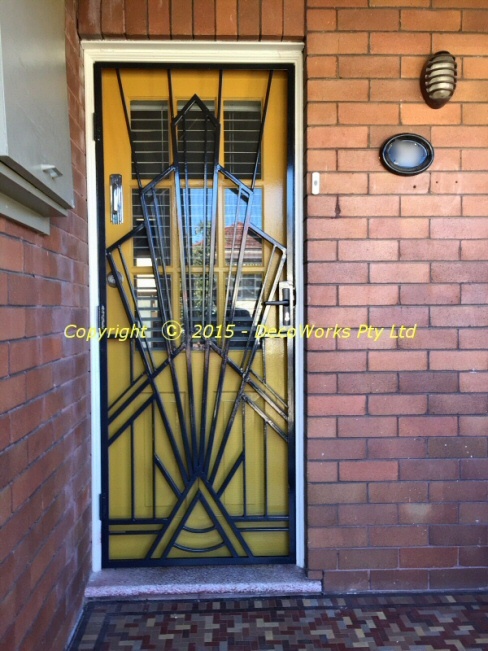 This side security door had been the victim of unsympathetic modifications over the years making it look quite ugly. 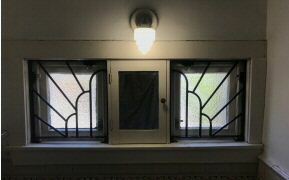 We restored it to being as good as new.